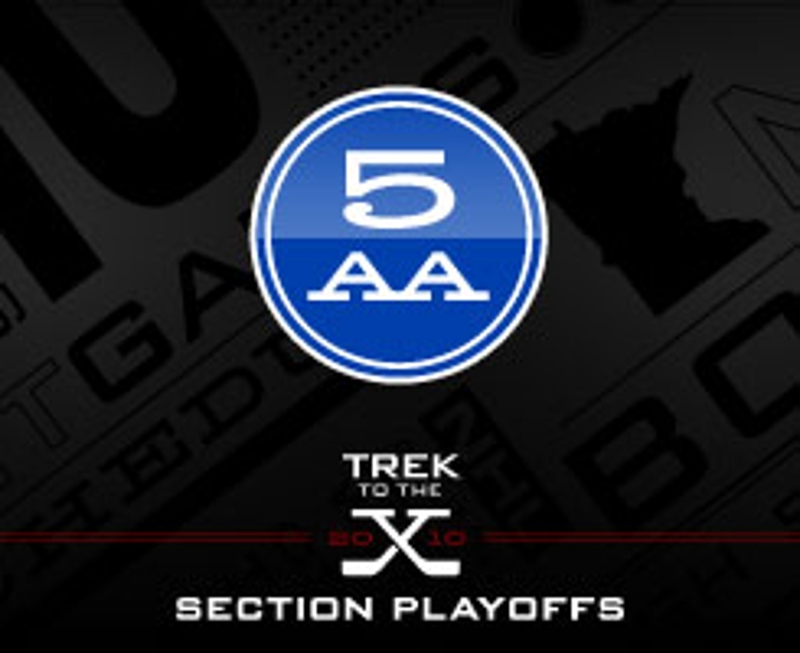 Unlike most section tournaments that combine top teams from multiple conferences, there are no league vs. league bragging rights at stake in Section 5AA. No, the winner here assuredly will come from the intensely competitive Northwest Suburban Conference. Although two top teams (Elk River and Andover) from the Northwest Suburban are shifted into Section 7AA for the postseason, the conference still is well represented. To make a return trip to the state tournament, Northwest Suburban champion and No. 1 seed Blaine (18-4-3) will have to run a gauntlet of all too familiar opponents. That list starts and, most likely, ends with Centennial (17-5-3), the No. 2 seed that beat Blaine 3-2 on Feb. 13 to win the regular season series (the teams tied earlier in the season) between the arch rivals coached by the Aus cousins (Dave at Blaine; Erik at Centennial). While a third meeting between Blaine and Centennial seems likely in the section final, No. 3 Maple Grove (13-9-3) and No. 4 Osseo (14-8-3) both have the capabiity of crashing that party. Maple Grove beat Centennial 2-1 in overtime on Jan. 9 and skated to a 4-4 tie with Blaine on Jan. 14. Three of Osseo's four losses to Blaine and Centennial were by a goal; the other was by two goals but one of those came in the final 17 seconds of a 6-4 loss to Centennial. After the Big Four, none of the other five teams in the section had winning records. All of the top teams in Section 5AA have top-end talent, although Blaine seemingly has the biggest stockpile. The Bengals' Nick Bjugstad, a Minnesota recruit, is an incredibly smooth skater given his enormous frame (he's 6-foot-3, 188 pounds). Eric Scheid, Jonny Brodziniski and Gavin Tufte join Bjugstad to give the Bengals a stable of explosive scorers (all four have at least 18 goals). Add standout defenseman Tony Larson and Danny Harper, one of the state's best goaltenders, to the mix and it's hard to spot a Bengals' weakness. Centennial forwards Jordan Lovick (21 goals, 25 assists), James Hughes (19g, 14a) and Riley Colvard (14g, 18a) each have more than 30 points. They are joined on a potent power play that includes dynamic defensemen Charlie Aus (6g, 21a) and Minnesota State recruit Brett Stern (9g, 16a). Alec Horton and Tyler Dunagan have combined to score 33 of Maple Grove's 88 goals. No player, though, is more integral to the Crimson's playoff chances than workorse goaltender Ryan Coyne (pictured above). The Bengals' rugged regular season schedule should have them primed for the playoffs. Goaltender Danny Harper ranks among the best in the state, and it doesn't hurt to have a Mr. Hockey finalist and likely first-round NHL draft choice (big Nick Bjugstad) launching missles at the opposing team's goal. If the Orioles can get elite-level goaltending from Jared Mol there's no telling how far they can go in the postseason. Forward Tim Bonner can be a gamebreaker, and the defense is above average with the towering, hard-hitting duo of Sam Windle and James Hansen.